(CNN) – Elizabeth Warren, currently engaged in a heated U.S. Senate race in Massachusetts, said Wednesday she listed herself while teaching at Harvard law school as having Native American roots so she could meet others with similar backgrounds. Warren made the comments while speaking to reporters, according to the website of the Boston Herald. It was first reported earlier this week that the former economic adviser to President Barack Obama listed herself as a minority in law school directories in the 1980s and 1990s. "I listed myself in the directory in the hopes that it might mean that I would be invited to a luncheon, a group something that might happen with people who are like I am. Nothing like that ever happened, that was clearly not the use for it and so I stopped checking it off," Warren said. The revelation that Warren listed herself as having Native American roots in the law school directories set off a flurry of reaction from conservatives, who suggested she used the label to advance her career as a law professor. Harvard's campus newspaper The Crimson printed articles in 1996 and 1998 quoting law school administrators hailing Warren's Native American heritage as evidence of faculty diversity. The New England Historic Genealogical Society provided CNN with initial research showing several members of Warren's maternal family claiming Cherokee heritage. The Native American link extends to Warren's great-great-great grandmother O.C. Sarah Smith, who is said to be described as Cherokee in an 1894 marriage license application. NEHGS gathered that information through a 2006 family newsletter, and says the original application cannot be located. The society was quick to point out that research into Native American ancestries often relies on oral histories, and that paper documents were not kept for many early generations of Native American families. On Wednesday, Warren said she was hired at Harvard for her teaching ability, not in an effort to bolster diversity on Harvard's faculty. She also added she was proud of her Native American heritage. Warren's competitor, incumbent Republican Sen. Scott Brown, told reporters Wednesday that Warren needed to answer remaining questions about the Native American listing. "I think that she needs to answer the questions that are still lingering out there, that's for sure," Brown said, according to the Boston Globe. 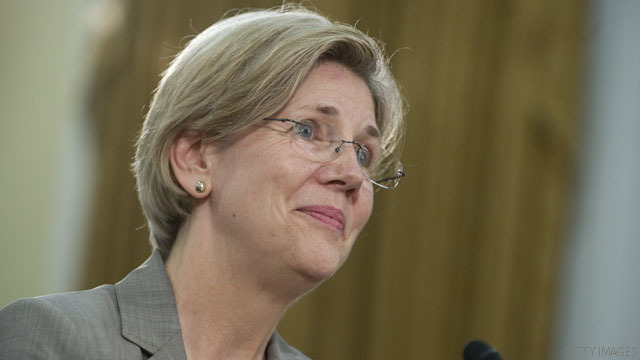 Reached Thursday, Brown's spokesman said they had no comment on Warren's latest comments. "And I'm sure the incompetent fraud in the Oval Office has similar items in his past that are being hidden from the light of day. The LSM will never do their job and get the facts." Since you seem so certain (not sure why, though) perhaps you could help the media out by pointing them in the right direction with some relevant specifics. Seems like the only American thing to do, really. Oh puhleeze, another phony controversy to divert attention from the GOBP cult's class war on average Americans. There are lots of people running around with various degrees of Indian blood. Some are proud of it, some are not. tt's not like Warren was scamming NA scholarships. This is way more about how the GOBP cult hates anything non-white. Warren chose to embrace a non-white part of herself, which in the GOBP cult makes her a "self-hating white." because i never been to africa and all of mankind started in africa.